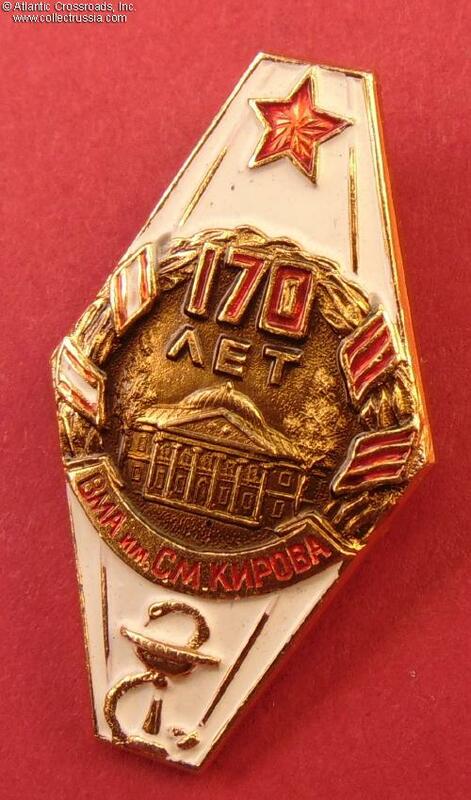 Badge in Commemoration of the 170th Anniversary of the Kirov Higher Military Medical Academy (VMA), 1968. Aluminum, paint, lacquer; 43.1 mm tall x 25.0 mm wide. 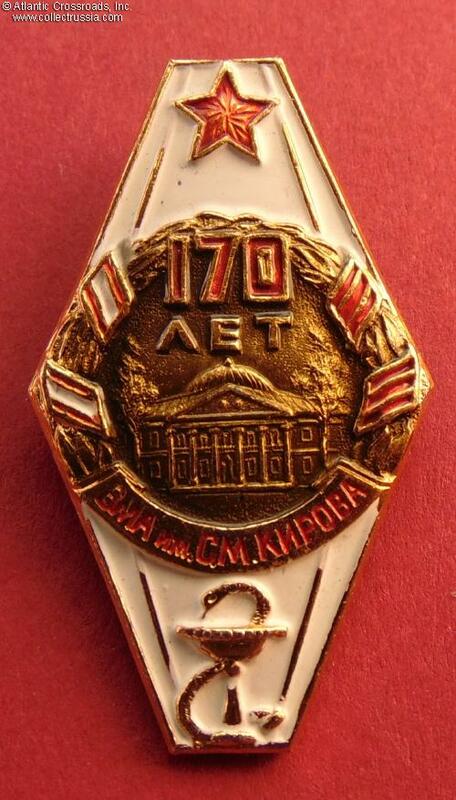 The center medallion shows main building of the academy, while the wreath has ribbons for two decorations that had been bestowed upon the school, Order of the Red Banner and Order of Lenin (note that the former was awarded on the same year of 1968.) 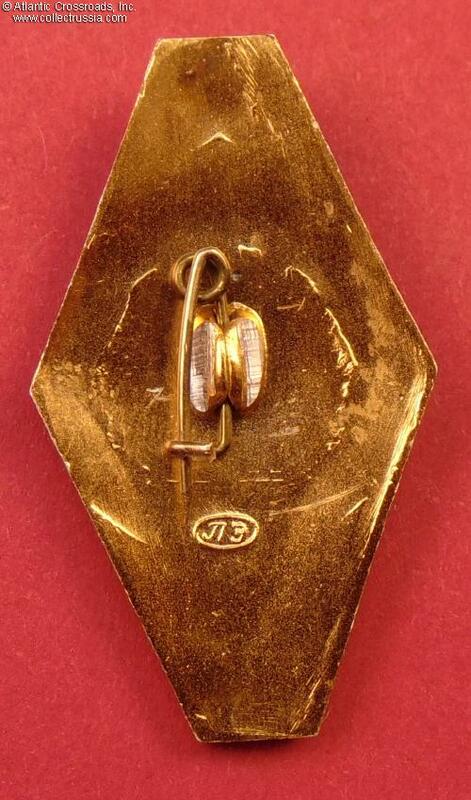 The abbreviated writing under the medallion is "VMA (Higher Medical Academy) Named in Honor of S.M. 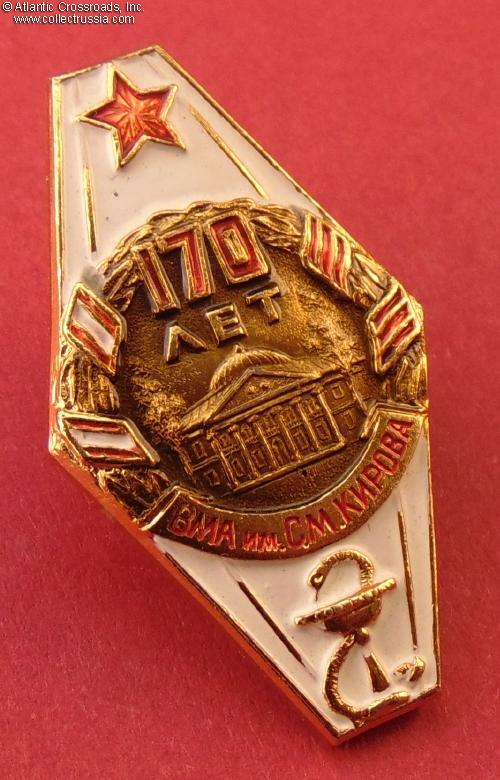 Kirov". 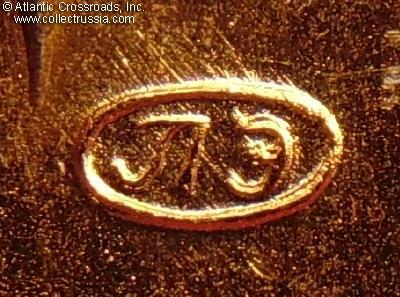 The reverse has raised maker mark of the Lenemalyer workshop in Leningrad.